Say Chat and you will see our brightened faces – that’s how we react on the word Chat! 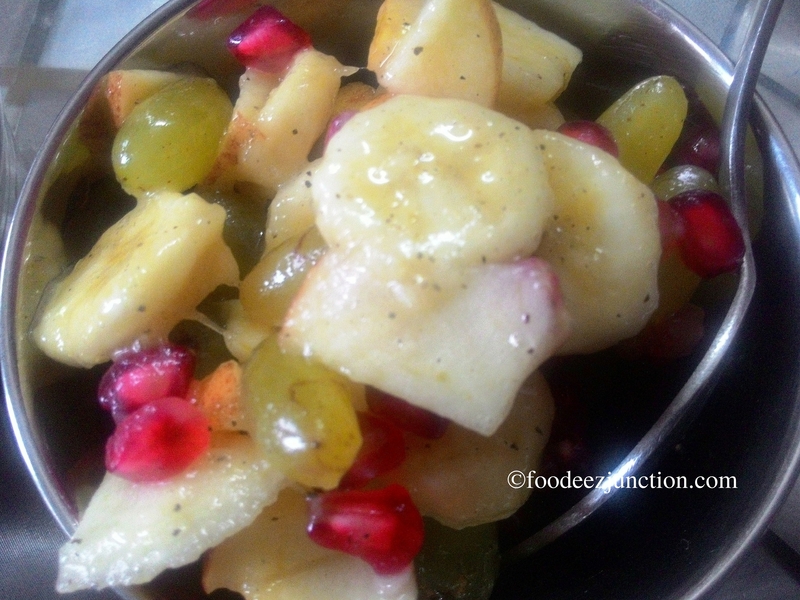 But this Fruit chat recipe is very different from a typical chat like aloo tikki, dahi puri, pani puri and more. This easy and colourful cuisine is popular by the name of fruit chat in north India and in the rest of India, it is also known as fruit salad. Call it fruit chat or fruit salad, you’ll get addicted to this snack, I’m sure. Fruit chat is an absolutely popular and colourful dish which is mixed and tossed together with sugar, lemon juice and black pepper. 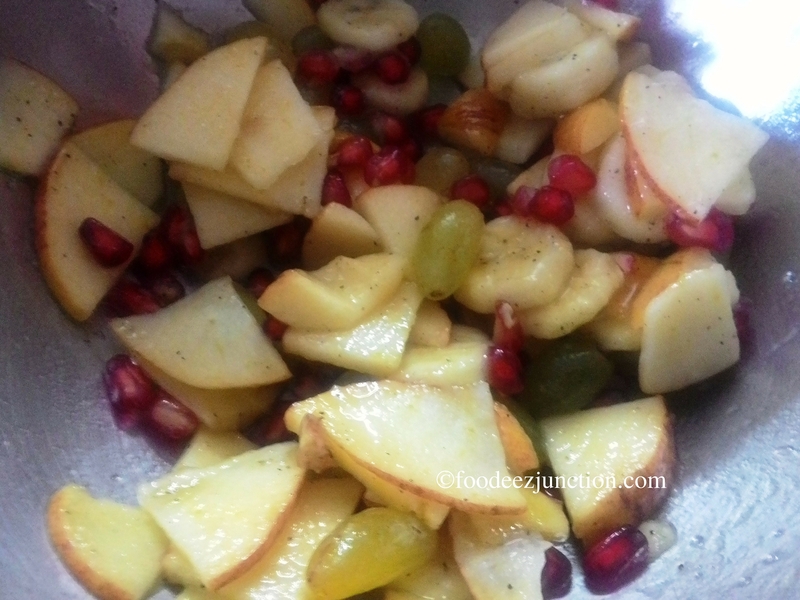 Know here the recipe of Fruit Chat and make it at your home. Put all fruits, pomegranate seeds, diced apples, bananas and guavas, and grapes in a large bowl and toss them. Now, add sugar, kali mirch powder, salt, chat masala and mix well. Squeeze the juice of one full lemon in the fruit chat and mix again. Fruit Chat is ready!! Yes that’s it. The easiest of all recipes yet high on nutrition. Note: You can add other fruits like diced strawberries, diced pears, black grapes, kiwis to this fruit chat – take these fruits half cup each. Remember as the ingredients will increase, the quantity will increase too. Tip: You can peel apples. You can take oranges but many doesn’t like the skin of orange pieces while having fruit salad or fruit chat, so you can skip it. Thanks for the visit. Appreciate your valuable suggestion! Yes, I was using my phone’s camera for pics as well as videos… from now on will be using my cybershot 🙂 … Thanks again!